American elms on the National Mall. It's January, so we are again celebrating the American elm. The American elm is one of the oldest continuous residents of Washington, D.C. and is a hardy street tree that provides shade and beauty for many neighborhoods in our city. We work to restore these trees because of the challenges they have faced, both in our city and throughout the nation. 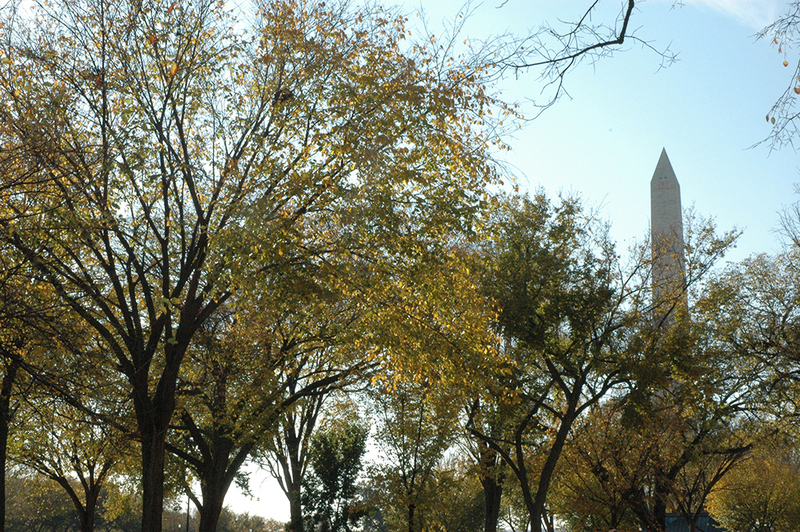 From Barracks Row to quiet residential streets to the National Mall, American elms help make D.C. the city of trees. Starting in December and continuing through this month, we are planting 200 American elms through our American Elm Restoration program. We will focus on planting disease-tolerant variants of the tree along historic elm corridors where the trees once thrived. Every winter we work with the Urban Forestry Administration to plant over 1,850 of the trees since the program's inception in 2003. In celebration of this special tree of the month, we will share stories and information about the American elm throughout January - stay tuned! Also, if you'd like to learn more about our American Elm Restoration program, visit our website.